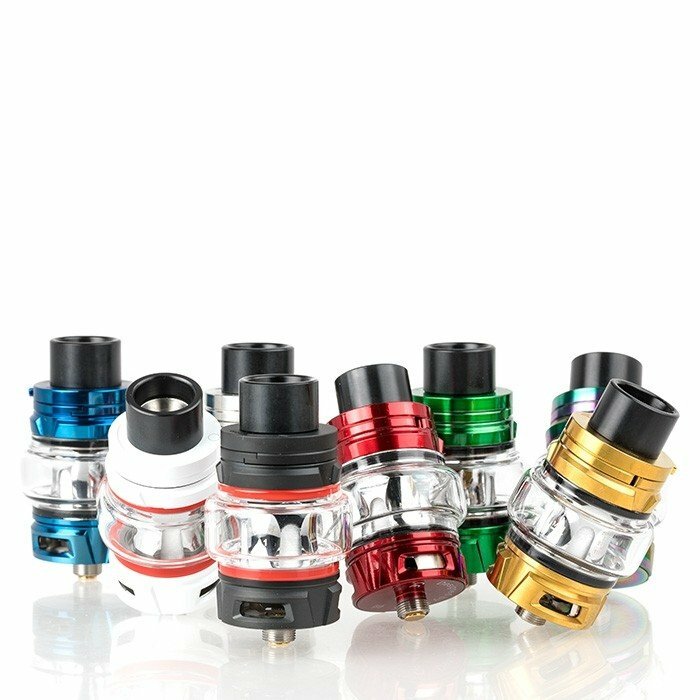 The SMOK TFV8 Baby V2 Sub-Ohm Tank heralds the next generation of Mesh Coil Tanks, headlined by the Baby V2 Coil System paired with the extraordinary features and structural elements of SMOKTech designs. Measuring 25.4mm in base diameter with angular lines, the TFV8 Baby V2 takes the Sub-Ohm system by storm with a beautifully crafted chassis and a 16mm Baby V2 exclusive Delrin widebore drip tip. When installed with the convex glass measuring 30mm at the widest point, the TFV8 Baby V2 has a maximum eLiquid capacity of 5 milliliters accessed via the signature rotary hinged top-fill method with lock mechanism.The crowning achievement lies within the hyper engines of the TFV8 V2 Coil Family, including a 0.17ohm Baby V2 A1 Single Coil with a large piece of mesh covering the cotton and a rating range of 90W to 140W. Each full set-up also comes with the 0.2ohm Baby A2 Dual Coil with two heating cores and a wattage setting of 50W to 80W. Airflow enters the structure through three large airslots at the bottom base, fully adjustable for maximal throttle and cooling properties.